Across All Segments. Production color digital print—EP and inkjet—play in the mid to high volumes of the market. The production color digital print market is segmented by technology, duty cycle, and speed. For technology, the electrophotographic (EP) and liquid EP market is known for its versatility, higher productivity, improved color stability, and substrate flexibility. Meanwhile, inkjet is noted for speed, ability to output onto offset stock, and lower operational costs. Duty cycle and speed is categorized into various segments. The mid-volume segment is defined by duty cycles of 301 to 999K pages per month output at speeds just under or at 100 pages per minute (ppm). For high-volume, ppm may exceed 100 and tout duty cycles of up to 10M pages per month. EP printers that are included in the high-production volume segment often offer features like fifth imaging, which provide users with capabilities to print spot colors and varnish. While traditional inkjet production devices fall in the ultra-high production segment, the emergence of new cutsheet solutions provide options in high-volume segments to give users even more choices. Growth in the production print market is depicted in IDC’s Worldwide Quality Production Printer Tracker. The research firm reported in June 2016 that the first quarter of 2016 showed solid growth, with a 7.9 percent year-over-year increase. The worldwide unit shipment value increased 1.4 percent to nearly $1.2 billion in the same time period. Today EP and inkjet printing technologies are both active players in the mid- and high-volume production print segments, it depends on the various applications printed in a specific shop, but there are advantages to each, which explains the growth across all of the segments. EP technology in particular effects both the mid- and high-volume segments. When it comes to liquid versus dry toner, vendors believe there are advantages to which is used and what segment as well. “We’re seeing the mid- to high-volume production segments experiencing the highest percentage growth rates in the market. 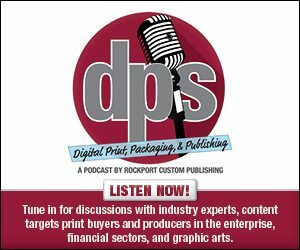 The prices for current EP cutsheet products targeted in these volumes have been in decline, which is lowering the barrier to entry while simultaneously, the products are increasing in their printing capabilities and media handling,” explains Ed Wong, product marketing, production printing business group, Ricoh. Heather Barrett, director of marketing, North America, Xeikon, says liquid toner requires a higher investment in equipment, which can be more difficult in the mid versus high segment of the market. However, it does offer “exceptional quality, as liquid toner allows for the mixing of colors to achieve output beyond CMYK,” continues McMahon. Dry toner provides advantages in storage, durability, sustainability, and even cost. “In terms of shelf life for stored inks, image quality stability, image durability, and ease of ink switchovers dry toner is more advantageous. It is also more sustainable with no volatile organic compounds/hazardous solvents and is de-inkable in typical paper recycling streams,” shares Len Christopher, worldwide product manager – Kodak NexPress Platform, Kodak. “The advantage with dry toner is that it can deliver high-quality output with the durability required to meet the challenges of finishing and post processing,” adds McMahon. Barrett believes that for the mid-volume segment, dry toner provides the best productivity-to-cost ratio. While traditional inkjet devices fall into the ultra-high production segment, the emergence of cutsheet inkjet solutions effects the high-volume landscape. Cutsheet inkjet changes the dynamic by offering a stepping stone for users traditionally not positioned to enter into the high-volume space. Because of this, cutsheet inkjet offerings are positioned to take pages away from EP technologies. “In the mid- to light-production market, customers are looking for a more cost-effective solution that allows them to streamline the process. These customers have switched their EP machines to cutsheet inkjet because they can introduce the white paper factory solution, removing the need to store preprinted materials,” explains Kristina Donehew-Tamilio, marketing manager, Riso, Inc.
McMahon says cutsheet inkjet serves a space of the market left between traditional cutsheet toner and continuous feed inkjet equipment. Applications found in this space include packaging, transactional/statements, and direct mail. “If quality is suitable for those applications, total cost must be lower for EP replacement in order to take pages away from EP,” points out Christopher. “Where full substrate range flexibility is required, EP will remain a leading solution,” he adds. “Although the peak image quality from some of the devices appears to be suitable to take work from toner and offset presses, the reliability, throughput, and cost of operation require significant improvements before cutsheet inkjet can be viewed as a viable alternative,” continues Mansfield. “For the majority of customers looking for higher print quality with better image contrast, wider gamut range, smoother gradations, and sharper details, compromises in their requirements need to be made if they consider transferring pages from EP today,” agrees Wong. He further points out that the potential of page migration is not necessarily from EP, but alternative technologies, including offset and coated feel inkjet. With some companies exclusively EP providers, they must remain competitive against inkjet—especially with cutsheet emerging in the high-volume production space. Similarly, these vendors offering both technologies must adequately balance the two. Xeikon only offers EP. It believes image quality is the most important element to compete. “High-speed inkjet has difficulty accessing the higher coverage applications that tap more into commercial printing,” says Barrett. Kodak offers both EP and inkjet, with each aimed at different application spaces. “EP is mainly targeted at commercial print providers that typically demand a combination of high quality and high productivity and substrate flexibility. Inkjet is aimed primarily at book, transactional, and direct mail providers,” shares Christopher. “The way the industry is transitioning, one can’t rely solely on EP. That is not to say that inkjet will completely replace EP, they will become complementary forces in the same office. The book market is a target market where we are already utilizing both technologies,” says McMahon. Canon offers both EP and inkjet solutions. In terms of total cost of ownership (TCO) and cost per page, the benefits of inkjet versus EP in the mid- and high-volume production segments varies. For example, Riso focuses on the mid-volume production segment, with all of its inkjet printers rating a duty cycle of 500,000 prints a month. “Extremely economical, they offer spot and full color for nearly the same cost as B&W prints from other systems. The initial investment is extremely low. The small footprint and low energy consumption makes it even more attractive from a TCO point of view,” admits Donehew-Tamilio. “There are numerous benefits of inkjet, especially if a print provider has the volume that the press can accommodate. The sheet productivity that inkjet provides significantly can lower the overall TCO in some cases as high has 50 percent that of traditional EP technologies,” explains McMahon. This savings can come from a series of places including ink costs, the ability to print on offset papers, service reliability, and color consistency—all are aspects on the ever-increasing value of inkjet technology,” he adds. According to Barrett, EP competes more in the mid-volume segment due to lower investment rates. For the high-volume segment, EP is most successful for high-coverage/high-quality work.